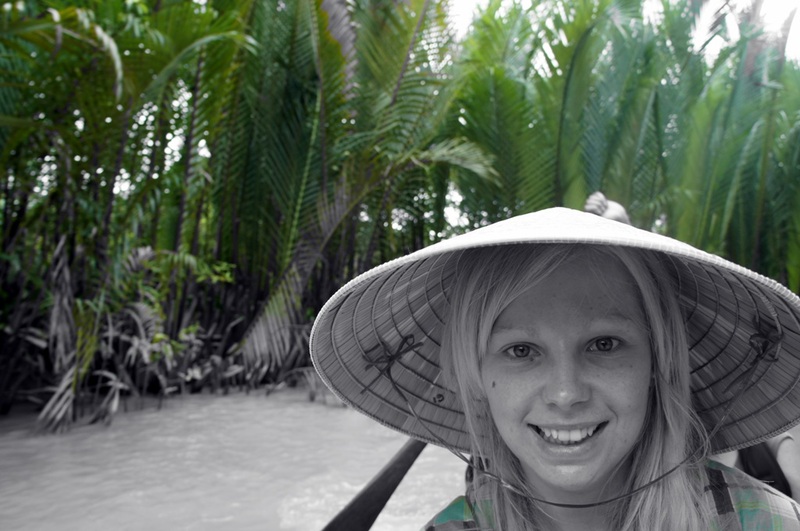 Agness is the co-founder of eTramping travel blog and she is currently travelling through Asia. As the website states, Agness together with Cez, will take you around the world slowly but surely. Personally I found their blog interesting enough to open our interview section with them. Plus I am sure you will enjoy reading it as well! Before we start, you can also follow her adventures on Facebook and Twitter. 01. Hey Agness could you briefly introduce yourself and your website to our readers? Hey! I’m Agness (Agnieszka is my full name), 23-year-old Pole, travel freak, photography passionate, blogger and life enthusiast. I have been seriously travelling around Asia since 2011 having a blast and learning a lot about people, foreign culture and, above all, myself. I’m adventurous and I love living my life spontaneously. My passion to travel turned into my work last year when me and my best friend created eTramping.com – website about our travel adventures where we share our feelings, thoughts and advice with other travellers, more or less experienced in backpacking. The idea of creating this website and my blog came up in August 2011 where I set off for my first journey to China where I spent 10 months backpacking and teaching English in Hunan province. The motto of the website is to “Travel Slowly but Surely!” around the world, on the cheap, and show people that everyone can travel. No matter how much money they have and how old they are- it’s never too late to quit a 9-5 job and go into the wild, just like we did. Now, after our hard work and efforts, the website offers a lot of travel tips, there is a gallery with our photos taken during our travels, photo of the day section, blogs where you can read my funny stories living in foreign countries, and so on. We also provide WordPress blog services for those who take blogging seriously or would like to start or switch to WordPress (more info at www.bloginstallations.com). 02. Where in the world are you now? And where have you been so far? I have just arrived in Siem Reap, Cambodia, where I’m planning to stay for few months. Although I’ve been here for just over a week, I feel homely. This is a truly amazing place, and the atmosphere – well, you won’t experience it anywhere else. We have even set up a small local web design company. Before I came to live in Cambodia I have lived in China for 10 months, where I visited 13 out of 23 provinces and cycled the full length of Vietnam with Cez (my best friend). Too many memories to write about it, you need to see etramping.com for more details. Of course I have been to several European countries. Overall, my adventure has just begun and I’m hoping to see every country in the world. 03. What kind of a traveller you are and what type of activities do you enjoy the most? I’m definitely a backpacker travelling on the cheap. I don’t need much to enjoy my travels- a piece of the ground to sleep on, friendly people around and the beautiful scenery. I guess it’s not that much, right!? 😀 I am a very active person enjoying kayaking, cycling, trekking, hiking and swimming the most. I hate doing nothing or wasting my time sitting at the pool or watching TV in my hotel room. 04. As I’ve been looking through your website, I came across a part where you said most people prefer to book their holidays with agencies and have classic beach holidays. This is true, as many people prefer to do it this way. What do you think the reason for this is? Are people just unmotivated to go independently or are they are scared to travel alone and move outside their comfort zone? Well, some people work very hard for their career, so all they want to do during their holidays is simply lying on the beach and drinking cocktails. I don’t blame them. They want to be provided with the best service, don’t want to worry about anything and enjoy their time off peacefully. It’s easy and time saving- “Time is money” as many people say. The other people are just too scared and feel unsecured to travel independently. They are afraid of getting lost, being robbed, etc. so they choose a safe option of booking a trip with travel agencies. There are also some people who think that travelling independently is much more expensive than booking package tours. Holiday providers offer great deals on beach holidays nowadays, you pay in advance having only a few expenses during your holiday, it’s more comfortable and less stressing. 05. You originally come from Poland. Can you explain to us why people should visit your country and what are some of the things/places that shouldn’t be missed? What are your personal favourites? If you want to get drunk with Polish vodka, have a plate of delicious dumplings (called “Pierogi”), climb beautiful mountains and go fishing at stunning lakes, Poland is a great place. It’s a country of vivid history, museums, nice seaside, urban centers like Warsaw (the capital), Wroclaw and Krakow. People are extremely hospitable and you definitely feel like home. There are many places worth visiting such as Mazury Lake District (Eastern Poland) for those who love water sports where you can rent a boat and have a boat ride across the lake, Auschwitz and Birkenau (Greater Kraków) for history passionates and of course the capital city- Warsaw where you can visit some museums and do some decent shopping. My favourite place is my hometown where I was born and raised called Zagan (Western part of Poland). I have my family and friends there and lots of great memories from my childhood. 06. What do you like the most about your country, and is there anything you dislike? Poland has a very rich history people should know about. I like the fact Polish people are very patriotic, but what I don’t like is that it’s so rare to meet Polish people on the road while travelling. That’s a real pity. There are not many Polish backpackers and vagabonds and this is my only one regret. 07. You are currently travelling in Asia, how is it different to Europe and your home? Tell us about your unique experiences. Asian countries differ a lot from European countries in many aspects such as food, history, traditions, travel costs, people’s mentality and so on. Travelling in Asia is definitely cheaper for me. I was able to live for $10 a day in the capital city of Vietnam, Hanoi, including my accommodation, meals and some small souvenir expenses whereas for $10 a day in Europe you can afford a coffee with a plain croissant in Paris. Moreover, Asian cultural history fascinates me more than European. In my opinion it’s richer and more interesting, especially in China. The food in Asia is spicier and seems to be healthier but I prefer European cuisine though (always miss pancakes, Polish dumplings and muffins!). Europe is less crowded and wealthier, people are more educated and well-behaved, the life goes faster but we are more depressed and miserable than Asian people. Asian people, unlike some European, always stick together and the family is the most important to them. The landscapes are both stunning in Europe and Asia and people are also hospitable in both places. 08. What country or city has left the biggest impression on you? Any favourites and why? It was definitely the capital city of Tibet, Lhasa which I visited this June. I simply fell in love with its scenery, amazingly hospitable and religious Tibetans, Tibetan religion and culture. I call this place “My heaven on Earth”. I was blown away by the power of Buddhism and the design of Tibetan temples and houses. Tibet is simply the most colorful and magic place on the Earth. Despite the fact, I couldn’t travel freely and independently there as it is not allowed nowadays, I was still able to have a little conversations with locals, find out and understand why Tibet wants to be independent and how it differs from China in terms of history, language, customs and religion. Undoubtedly, it was a great lesson for me to learn: a lesson not only about history but humility as well. 09. Is there something you can’t travel without? LOTS of positive energy and SMILE! 10. So many people are full of myths that they cannot travel the world- money issues, no time, fear, etc. What is your advice for them? World is like a book. If you don’t travel, you read only one page. Now ask yourself a question “Do you really want to get stuck on one page only without seeing the rest?” The world out there is amazing, surprising and diverse. It’s now or never. You will never have enough time, money, lack of responsibility, energy, courage, etc. However, if you leave everything and go, you’ll find you don’t need it all. People will always find millions of excuses not to leave their comfort zone. I know it’s hard to do it and it can be challenging to picture yourself in “drastically altered” surroundings, but it’s definitely worth the struggle and your life will completely change for the better. Go! Discover and enjoy the life. Every place I visit reminds me of something good. I have many nice memories from China working with Chinese students who called me “Lady Gaga”, from Lhasa when I spoke with the real Tibetan monk who gave me a blessing on the street (it was so touching and I cried) and from Vietnam where I ate bugs for the first time. There were also a few life-threating situations I came across. The worst one was when I was bitten and infected by poisonous spider in China. It took me 4 months to completely recover from the infection. 12. What do you like the most about being a travel blogger? Many things actually. I like the fact I can get back to my blog notes after 2,3 or 5 years and be able to read it again, feel it again and relive it again. It is also good to give other travelers some advice on how to travel safely and cheaply so they can avoid mistakes I made and enjoy their smooth travel to places I went to. Moreover, it is a great way to publish and share my photographs, the website will look good on my CV and it is another reason to be proud of myself. It gives me the strength to carry on, especially when people read my notes, share them and enjoy them. 13. What are your favourite travel blogs, can you recommend us some? totallysamsworld.wordpress.com (me and Samantha have a lot in common when it comes to travelling, she is preparing herself for a huge journey around the world giving people advice on how to get ready for the first big travel adventure and shares her Europe travel experience with readers. We made friends and stay in touch hoping to meet in person one day). findingthegypsyinme.com (Teresa travels the world as a house sitter and has written two amazing books plus one is coming up soon about it. I check out her website very often as housesitting is a great way to travel on the cheap). traveldudes.org (Great travel website where articles are written by experienced travelers on cheap accommodation, travel safety, etc.). 14. Which publication are you the most proud of on your website? Can you share it with us? I always feel proud of all my publications posted on my website. 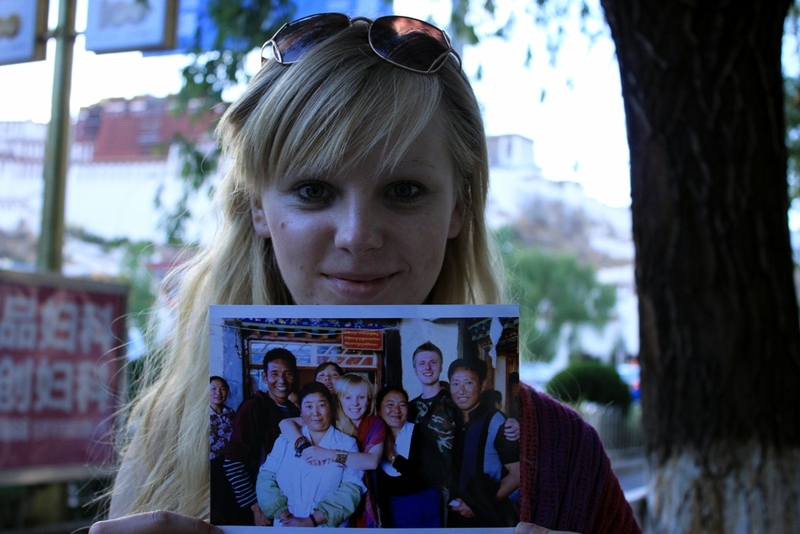 If it is not good enough, it is not published, however there was one article about Tibet being closed for foreign travelers (find it here) which was re-tweeted by Lonely Planet on my Twitter profile (@Agnesstramp) and shared by thousands of worldwide backpackers. You should all travel freely and independently. Don’t book all inclusive holiday packages with your local travel agency. Just buy a huge backpack (if you don’t have one), put some stuff in (not too much), put your backpack on and go! Try not to plan too many things in advance, enjoy the moment and be spontaneous. You will find it exciting and you will meet the people who will change your life by being amazingly hospitable and treating you like home. Travelling is not that expensive. You can always get a job while being on the road (like me) if you need some money and don’t spend too much on things you don’t need. Where there is a will, there is a way! Travel safely and always stay in touch with your friends and family. Beat homesickness by interacting with locals, try some “weird-looking” food, take some awesome photos which will remind you of this lifetime adventure, leave your comfort zone and explore the world and you will see people will give you more than they have! Agness, first thank you so much for giving us some of your time to take part in this interview! We wish you the best in your travels and lots of awesome moments to come! Thanks a lot. It was my pleasure to chat with you. BON VOYAGE! European Tourism Branding – Who does it better? 2 Comments on European Tourism Branding – Who does it better? As tourism is one of the most profitable industries in the world, a lot of effort is required in the fields of marketing and branding by respective National Tourism Organisations…. As tourism is one of the most profitable industries in the world, a lot of effort is required in the fields of marketing and branding by respective National Tourism Organisations. And as such, every country tries to position themselves in the market by being more original via their unique tourism branding. This post comes after the National Tourism Organisation of the Czech Republic, decided to re-brand their country as Czech RepubLIKE, as ‘like’ couldn’t get any more overrated already. You don’t need to change your country’s name to ‘LIKE’ to make it more social friendly, therefore we ‘like’ the video accompanying their campaign much better than the logo. Below we have a list of logos representing the tourism industry in specific countries all over Europe. Each logo should differentiate the country to another one and make it more unique; but, are they really that original when it comes to visual identity? Of course, logos do not represent the branding of a country and its tourism organisation as a whole. That’s why for example, the Croatian tourist board won the award for the best tourism film in Warsaw this year called “Ode to Joy”. The Austrian logo is quite simple with the saying “Holidays in Austria”. The Cypriot logo is one of the best in my opinion because it represents the sun and sea – two elements that Cyprus is the most famous for. The Finnish and Danish logos are quite simple, whilst the Italian logo is very poor for a country with one of the richest histories on the continent. If I had to pick a country I would visit next, but based only on the LOGO, then it would be: Albania and Cyprus. The logo of Luxembourg is very simple but with a very modern and colourful typography and if such a logo was intended to be simple, they should look like this one. The Dutch logo represents one of the national symbols with very nice typography and in orange colour, which is the main colour associated with the country. The Polish logo is a great example of how tourism logos should look, and it’s one of the better ones if not the best on the list. It represents forests, seas and mountains and therefore promotes the country as nature friendly. Serbia’s logo is colorful whilst the Romanian one also has a feel for nature. Sweden has a simple logo with nice and modern typography, but on the other hand Sweden along with Norway is doing amazing job on promoting their countries on social media services. The Swiss logo is another example of a nice but simple logo, with great typography and most importantly a strong message. If I had to pick the countries that I would visit next, only based on their logo, they would be: the Netherlands, Poland, Romania and Switzerland. And what about you? Which logo did you like the most? Or which one do you like the least? Let us know in the comments below! All images belong to their respective National Tourism Organisations. “The Hidden Europe: What Eastern Europeans Can Teach Us ” is written by Francis Tapon, one of the most famous world backpackers. This book is based on Francis’ trips to Eastern Europe, where he spent nearly three years traveling and exploring 25 countries. Those 25 countries include: Finland, Estonia, Latvia, Lithuania, Belarus, Poland, Eastern Germany, Czech Republic, Slovakia, Hungary, Slovenia, Croatia, Serbia, Bosnia & Herzegovina, Montenegro, Albania, Kosovo, Macedonia, Greece, Turkey, Bulgaria, Romania, Moldova, Ukraine and Russia. 25 countries – 25 chapters and each one consisting of Francis’ personal adventures, the country’s history, food, language, sites, stereotypes, interaction with the locals plus lets not forget humor. There’s just a lot of humor in this book. Why there’s much more to Romania than Dracula. What the future holds for Belarus, Ukraine, Russia. The adventure begins above the Arctic Circle where Francis gets locked in an outhouse (which is very interesting btw! ), then moves onto the Baltics, Belarus, Poland, all the way to the Balkans and finishes with Moldova, Ukraine and Russia. Tapon proves that history doesn’t really have to be boring, and that is in fact very interesting. The book is very entertaining, and most of all very insightful, which I think is a very important characteristic every travel blogger and writer should have. Through vigorous reading and practice, we can all improve our writing style and this is one book I would recommend to everyone. The Hidden Europe is also is full of humor and jokes that will definitely crack you up. This book goes to my “favorite” list and it will definitely be utilized as some kind of alternative travel guide when visiting some of these Eastern European countries. When was the last time you spent some time in the nature? When was the last time you’ve camped, or maybe you never have? Leave your excuses at the door, literally, and do something different. How did Francis manage to visit almost over 80 countries? He camped. Paris, London and Amsterdam are awesome and surely deserve to be visited. But the world is huge and does not consist of what you only see advertised by your local tourist agency. Why not ski on the Tatra’s rather than the Alps? Or visit the Black Sea Coast rather than the Ligurian Coast? Surely some places are more famous due to its qualities but it’s not what makes your travel experience better. It’s the people you meet, the challenges you succeed in, the risks you take and the things you learn. Travel is a much better way to learn than any school. Don’t just see it through your eyes – but through your heart too. How many times have you traveled somewhere with your friends, ate in a restaurant and never really cared about the things or people around you. How many times have you socialized with someone in a foreign country, besides just asking them to show you how to get to some point on a map or explain to you what bus to take to get somewhere. That’s just wrong. Go talk to someone, ask them about their country, their point of view, learn history from the locals, make friends and have valuable experiences. Friends make our world richer. I won’t reveal more. There were things with which I disagreed with as well, but that is just normal and we’re not supposed to think the same – that’s what makes our experiences truly unique. In conclusion I think everyone who loves travel, history and is interested in learning new and interesting facts should read this book. You can order the book if you visit his official website by clicking here or via Amazon. Serbia is open for tourism all year round and although tourists enjoy spending their time in Belgrade, the country offers a variety of cultural and historical monuments, spas, mountains, fishing grounds and much more. EuroVelo 6 route is one of the 14 routes created by the European Cyclists’ Federation in 1994. The aim of the project is to discover amazing landscapes when cycling alongside the European rivers. EuroVelo 6 route starts from Nantes and ends at Constanta (from Atlantic to the Black Sea) and it’s 4,448km long. Kopaonik is a major ski resort in Serbia with 25 ski lifts in total and a national park established back in 1981. The mountain is mainly famous for skiing, snowboarding and trekking, but also for its rich historical heritage. It’s highest peak is Pančić, which peaks at 2,017 meters. Every March the mountain is a host to the annual Big Snow Festival. The Drina River is 346 km long, while its course through Serbia is 220 km long. It flows through Montenegro, the Republic of Srpska and Serbia. The river is famous for its old bridge in Visegrad, which was described in the famous novel “The Bridge on the Drina” written by the Nobel Prize for Literature winner in 1961, Ivo Andric. In summer the most popular activity on the river is rafting, with the most famous event being the “Drina Regatta“. Another jewel of Serbia is the National Park Fruška Gora which covers the territory of Vojvodina. It is famous for being the home to the historic city of Sremski Karlovci, plus is characterized by its forests and vineyards. Sixteen Orthodox monasteries are located nearby, which are famous for their architecture and treasures. Wine tasting is very popular in the region and other activities include biking, hiking, hunting and fishing. Being located just one hour from the capital and thirty minutes from Novi Sad makes the area very popular for tourists. Ovčar-Kablar gorge is referred to this way as it contains more than thirteen medieval monasteries, which are known for their beauty and spectacular location. Ovčar spa is also located in the gorge, which has hot sulfuric water that is used as a treatment for healing various health problems. The Uvac River is part of the Uvac Nature Reserve and it’s located in Western Serbia. Probably the greatest attraction of the canyon is its meanders, with some of the river bends angled at 270 degrees, and caves that form the longest cave system in Serbia. The biggest impression is the view overlooking the canyon. There’s no devil there, but you will find around 202 exotic rock formations that are very similiar to those found in Cappadoccia, Turkey. The mystery of these formations caused the locals to give it such a name. The area is also famous for its spa which contains two springs: the Devil’s Water and the Red Well. Devil’s Town was one of the nominees in the new ‘New Seven Wonders of Nature’ campaign. Felix Romuliana is an archeological site, spa and UNESCO World Heritage Site located near the city of Zaječar. The location of the ancient Roman complex of palaces and temples was built by the Emperor Galerius. 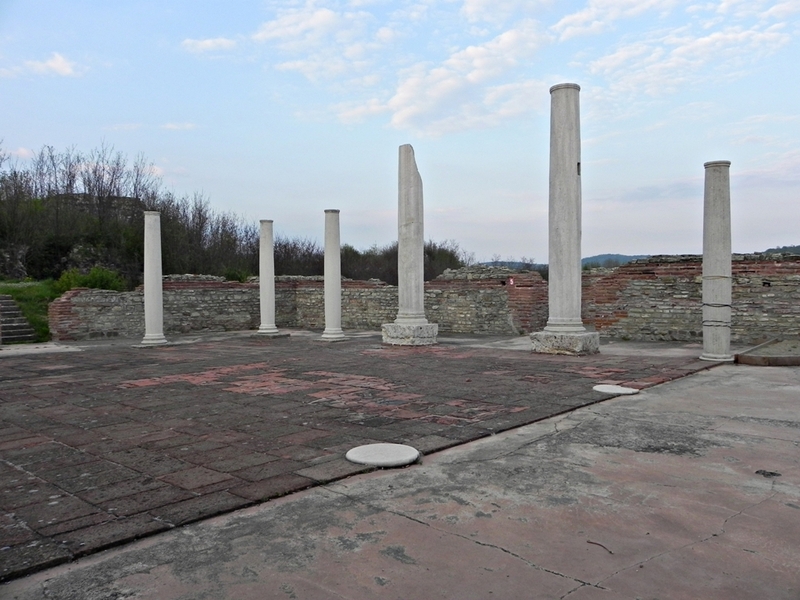 The complex is one of the most popular stops on the Roman Emperor’s trail through the Serbian territory. Founded in 1878, the museum has more than 3,000 ancient and modern items. The exhibits progresses from ancient findings to medieval and modern history, while outside the museum features a display of numerous tanks and armoured cars, mostly from WW2. 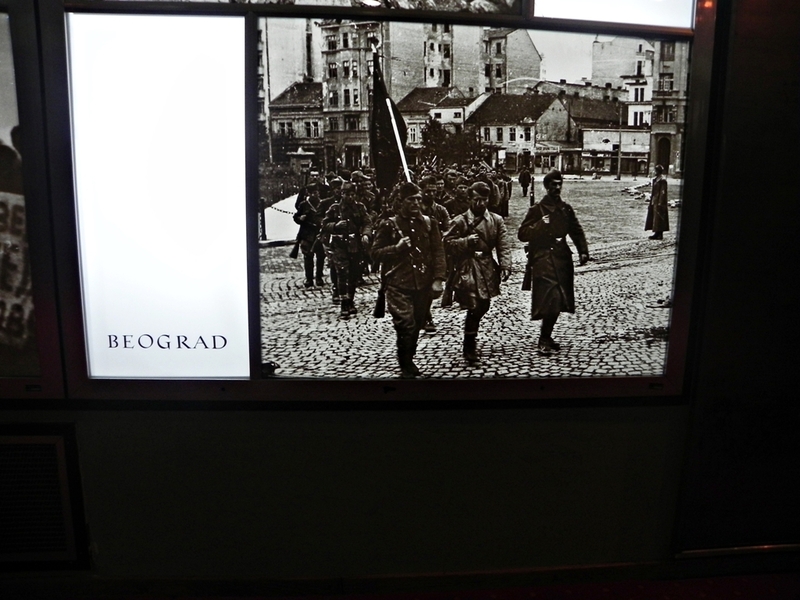 The museum is located inside the Belgrade Fortress which makes it a popular stop from visiting tourists. The Exit Festival is an annual summer festival held in the Petrovaradin Fortress of Novi Sad. In 2007 the festival was awarded as the “Best European Festival” by the UK Festival Awards. Some of the artists that have performed at the festival in the past include the Pet Shop Boys, Massive Attack, Snoop Dogg, Lily Allen, Placebo and others. If you are looking for a place to stay check out Booking or HotelsCombined. You can search for a cheap flight to Serbia on Momondo. 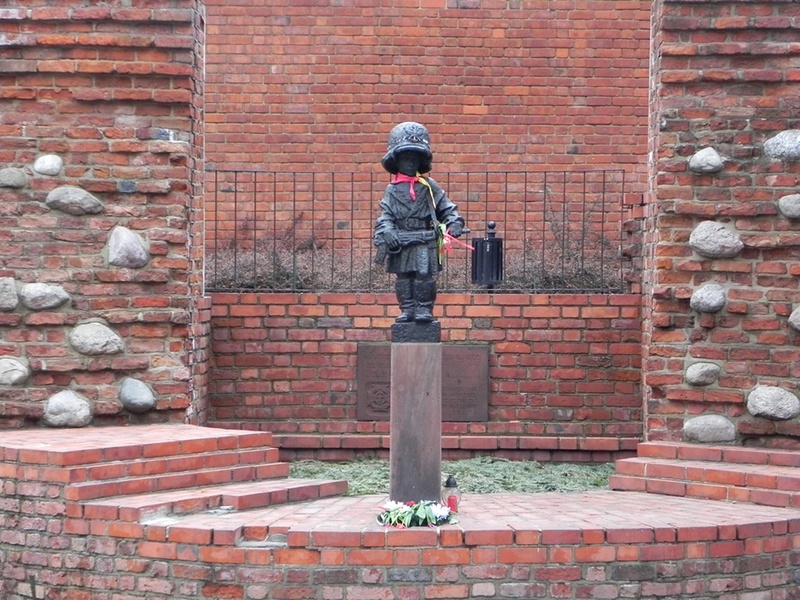 Wherever you are in Poland you won’t be able to escape its turbulent history especially from the Second World War. Being located in a very central position in Europe, between two powerful neighbors, Poland was forced to protect its sovereignty numerous times and its history is therefore very eventful. Some of the elements that represent Poland is its rich historical monuments and respect to other traditions. Under The Jagiellonian dynasty, Poland was the largest European state extending from the Baltic to the Black Sea, but then was slowly destroyed as a country during the two World Wars with the population being devastated. Today Poland is an EU and NATO member and its rich and proud history is being showcased in museums and other cultural institutions which definitely deserve attention from tourists, especially the Warsaw Uprising Museum. Traveling through Poland by train is simply beautiful, as you can admire its landscapes and forests’. Besides that Poland is famous for its Baltic sea beaches, lakes and rivers that offer rest, relaxation and adventure for travelers. The beaches of the Baltic Sea are famous for amber which is called as Polish gold due to its beauty and health qualities. Masuria is another amazing nature spot in Poland being known as the land of a Thousand lakes which are mostly small and medium in size and are hidden in forests that offer rest and more adventurous experiences of life. Another untouched pearl in Poland is Białowieża Forest – an ancient woodland famous for being home to European bison. Although most of the country is flat, with the average attitude of only 173 meters, Poland can also be proud of its mountains, with the Tatra mountains, within the fascinating town of Zakopane, attracting many mountain trekkers and skiers. Another must is the Słowiński National Park, famous for its sand dunes and the tourist trails extending about 140 km. In total Poland has twenty three national parks and among them eight are part of the UNESCO list. Warsaw and other Polish cities are attractive destinations for those wanting to learn more about history and culture. Despite being heavily destroyed during WW2, nineteen UNESCO World Heritage sites are located in Poland. 90% of the Polish capital was almost flattened during the WW2, but due to amazing reconstruction, Warsaw’s Old Town secured its place on the list of UNESCO World Heritage sites as well. 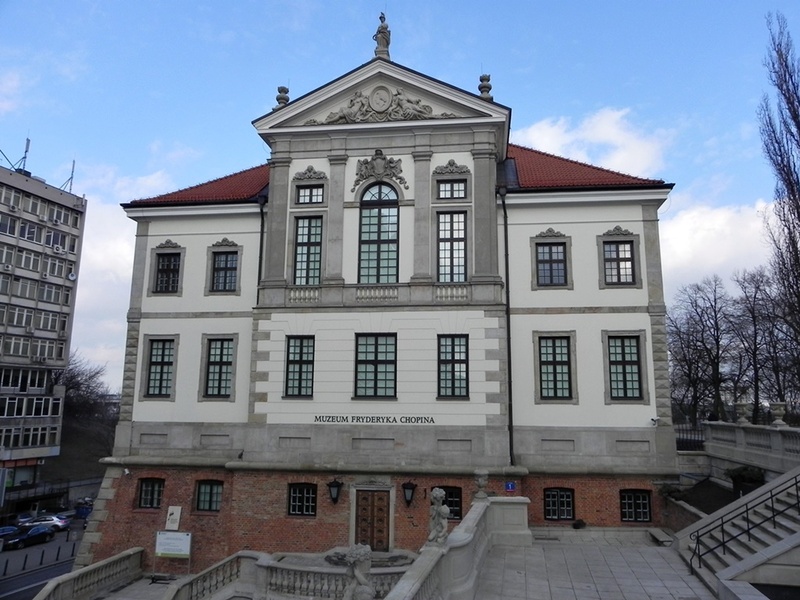 Warsaw also has a big selection of museums with one of the most popular ones being the “Warsaw Uprising Museum”, the National Museum and several others. The capital has also a lot to offer to music lovers with the most popular events including; the Mozzart Festival, International Chopin Competition (which takes place every five years), International Warsaw Summer Jazz Days and others. Krakow, the historical capital of Poland, is another attractive spot for culture and art lovers, with numerous museums and two UNESCO World Heritage sites around the city. Wroclaw, Gdańsk, Poznań and Łódź are other major Polish cities that have a lot to offer in terms of cultural and religious tourism. That probably best represents the reason number four why you need to visit Poland. Polish cuisine is influenced from French, Italian along with Jewish, Hungarian and Lithuanian cuisines. Żurek is a sour rye soup that along with pierogi best represents Polish national dishes. Kiełbasa is Polish sausage and is available in dozens of varieties, while Gołąbki is another Polish traditional dish in the form of cabbage rolls which are made of lightly cooked cabbage filled with pork or beef. Other traditional Polish dishes include bigos, roast, tomato soup and others. Besides that Polish people are some of the most hospitable people you’ll meet and are always there ready to help you and assist you in anything you need. Visiting Poland will definitely not break your bank, as it offers great value for money. Warsaw has some of the cheapest overnight accommodation prices among all European capital cities. You can search for accommodation on Booking and HotelsCombined. If you are flying to Poland, check out Momondo as it will compare the best prices from different airlines. The price of food and products bought in shops are still relatively inexpensive comparing to capitals of countries in Western Europe. Beer in Poland costs between (0,25 – 2,5 €) and dinning in one of the better restaurants from 12 to 25 €. A meal in an inexpensive restaurant is around 4 €. Also note that the bus transportation throughout the country is cheaper than using the train but the travel time in most cases increases. For example if you book in advance with the Polish bus coach Polskibus.com, you can get bus tickets from just 1 PLN (0.23 €). Trains are also inexpensive, plus faster, and you will probably enjoy the natural landscape much more. Łódź is the third largest city in Poland and it’s easily accessed by train, with the journey lasting about one hour and forty minutes from Warsaw. Another option is bus which comes at a cheaper price, but extends your travel time to two hours and forty-five minutes. Łódź was famous all over Europe for its cotton cloth yields and even called the “Promised Land”, after it became one of the largest textile production centers in Europe. That is the reason why even today the city is referred to as the Polish “Manchester”. The 20th century saw a very hard period for the city with Lodz’s population almost decimated after WW2. The industry and infrastructure were heavily destroyed as well. Łódź itself contains a mysterious aura that can be very intriguing and fascinating, whether it’s that melancholic feeling of experiencing some of its rich old prosperous times mixed with its rapid present development, but the city itself deserves more attention from tourists and prospective travelers. In recent years the city is often overlooked by many tourists for more popular destinations in the country, and due to a lack of investment even major parts of the city suffer from poor infrastructure which can lead some to the impression; “is this really the third-largest Polish city?” Nevertheless, thanks to its beautiful palaces, rich cultural heritage, its Polish Film School, and its kind people who are always ready to help, makes you leave this city with a warm heart. How to spend 24 hours in Łódź? First, why not start with something that Łódź is most famous for! Its PIOTRKOWSKA STREET. The ideal place for starting your sightseeing would be at the Plac Wolności, or Liberty Square, where the beginning of the street starts and continues its long length of about 4.2 kilometers, making it known as one of Europe’s largest commercial streets. 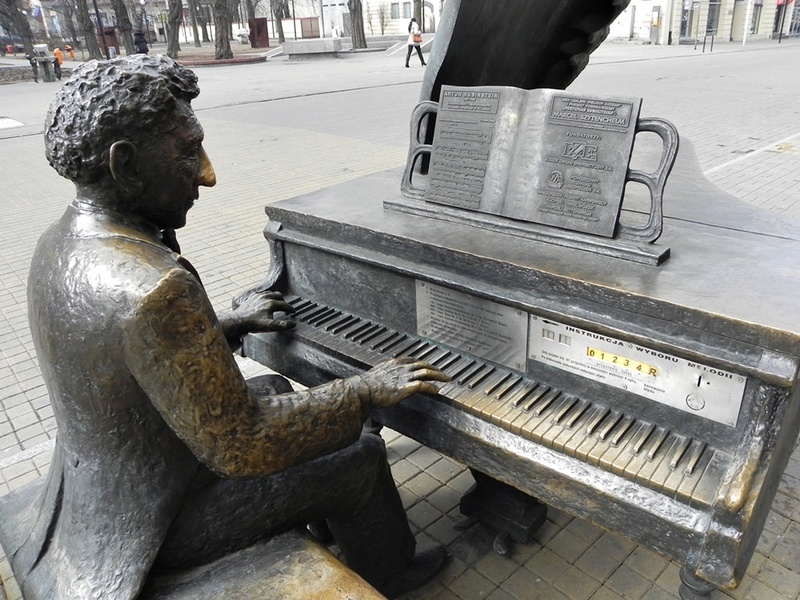 The street is home to wonderful architecture, housing and monuments – with probably the most popular feature being the Arthur Rubinstein monument, who was born in Łódź and grew up in this street. Another popular feature is the monument of the “Three Manufacturers”. It is also known as the Łódź Walk of Fame for its star-plaques which includes the names of the most important stars in Polish cinematography. In addition to its shops, during the night the street comes alive with entertainment, having more than one hundred pubs, restaurants and clubs along its way. If you have a tight time-frame to discover all the street offers, do not worry as there are many rickshaws or trambuses along the street which is probably a good idea to invest your money in if you are in a hurry. One of the things that should not be missed include MANUFAKTURA – which is a place mixed with traditional and modern elements. Traditional due to the fact this place used to be home to 19th century industrial buildings of the former Izrael Poznański’s factory and modern after its revitalisation, which made it become a popular center of entertainment, shopping and culture known all over Poland. Besides the mall, Manufaktura also has two museums, numerous restaurants and discos, a cinema and even a little tram taking you from one part of the complex to another. What I loved about this place is how they managed to preserve the original spirit of its past in its beautiful red color facades which at the same time look very modern. This place is huge, so don’t expect to see everything if you are visiting city for only 24 hours. To make the most of your day, it’s best to visit Manufaktura during the evening, otherwise, you won’t regret a visit to this symbolic series of buildings in Łódź. If you arrive at the Łódź Kaliska station, the tram ride to the city center will take about 15-20 minutes which is already enough to gather a basic impression of the city, and its cultural heritage, which is mixed with the Jewish, German and Russian architecture styles most notable besides the local Polish style. The city is famous for its post-industrial buildings and palaces built by the most powerful industrialists in the city and the ones who definitely deserve your attention include the Izrael Poznański’s factory and the White Factory. Poznański’s factory is the most famous Jewish landmark in the city and it is also a home to the Museum of the City of Łódź. Here you can learn more about the industrial past of the city during the 19th century. On the other hand, within the White Factory there is an Open-Air Museum of the city’s past wooden architecture. 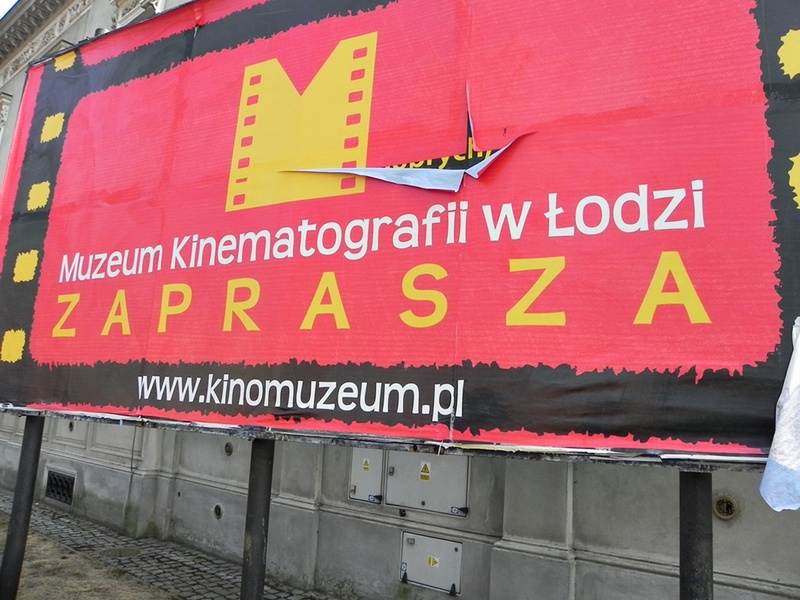 It is very hard to see more than a handful of things in only 24 hours, but if you get the chance try to pay a visit to the Museum of Cinematography and learn more about Polish cinema and art, as Łódź offers the best cinematography in Poland. When it comes to eating and drinking you won’t have to look far, as Piotrkowska street and Manufaktura offers you numerous pubs, cafes and restaurants with Polish and international cuisines to choose from, along with the usual fast food outlets. You can also shop for some traditional Polish souvenirs whilst in the city. You can search for hotels in Lodz on Booking and compare cheap rates on HotelsCombined. 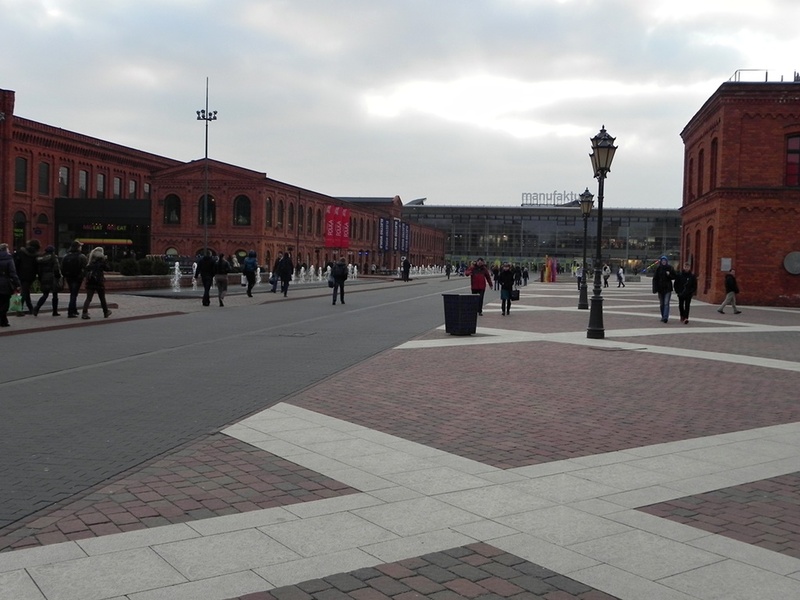 Have you ever been to Łódź or are you planning to visit? Tell us about your experience in the city, in the comments below!